The HLG400-LG lock-down kit provides a clean and simple solution for securing flat panel TV base stands in-place by enhancing the rigidity of the manufacturer's base stand adding a level of safety and security. 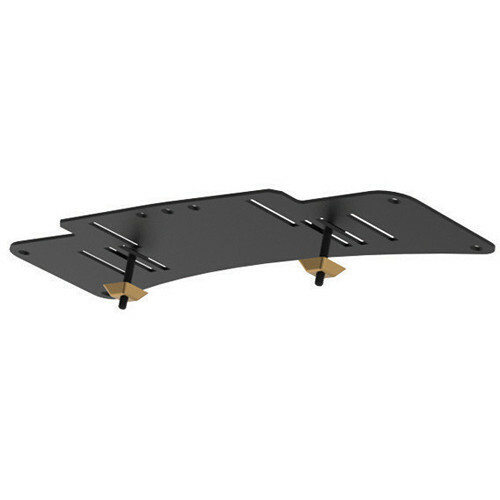 As a single plate design, it easily and quickly attaches to the TV's base stand and to almost any desktop surface with only two attachment bolts or the included high-bond glue strips. It features Peerless' unique slotted design, enabling fine-tuning of TV placement during the installation. Once installed, the ultra-slim designed plate is hidden from view while specialty security fasteners protect your investment.